It's been quite the roller coaster of an NFL career for Jared Goff. He initially looked like a bust before he quickly turned it around during the last two seasons, or at least, that's what everyone thinks. The Los Angeles Rams may have made it to the Super Bowl, but it wasn't because of Goff. Actually, it was in spite of Goff's performance. 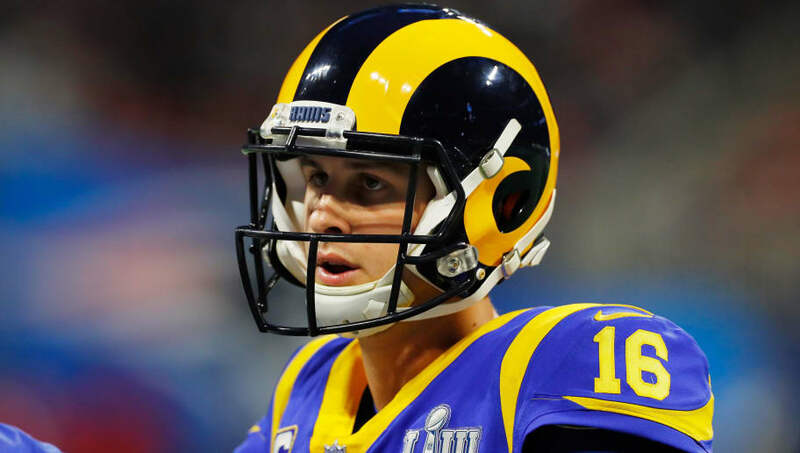 The eight-game stretch that ended the Rams' season proves that this young quarterback still has a long ways to go. In the lowest scoring Super Bowl in history, Goff is the one you have to blame and the one you have to question moving forward. In a passing league, you need a quarterback who's going to carry you to the promised land. If you look at that stat above, you can't think Goff is currently that quarterback. The former No. 1 pick eclipsed 300 yards just one time during that streak that went all the way back to the team's win over the Detroit Lions in the first week of December. His stats are even worse than they seem considering four of those touchdowns during that stretch came in one game against the San Francisco 49ers. In fairness to Goff, he is missing his security blanket in Cooper Kupp, who has proven to be the pivotal piece in this offense. Rams miss WR Cooper Kupp. Been apparent for months. Again tonight. They're 0-for-5 on third down. The Rams don't have to bail on Goff just yet. He's 24 years old, has shown signs of improvement and will hopefully have offensive weapons returning healthy next season. Still, this team shouldn't feel comfortable with him behind center just yet.